In Q2 of 2018, Neiman Marcus reported a 6.2% increase in total revenue compared to the same quarter last year. The luxury retailer knows how to get customers in store with hosted events. Neiman has a location in every state to host trunk shows, fashion walks and preview parties, allowing its customer base to mingle while browsing curated items. Neiman Marcus maintains a personal touch with recommendations on every platform. It’s an on-brand experience, tailored to enjoy on any channel since customers can opt in for alerts on the content-rich iOS app for fashion scoops and emerging trends. 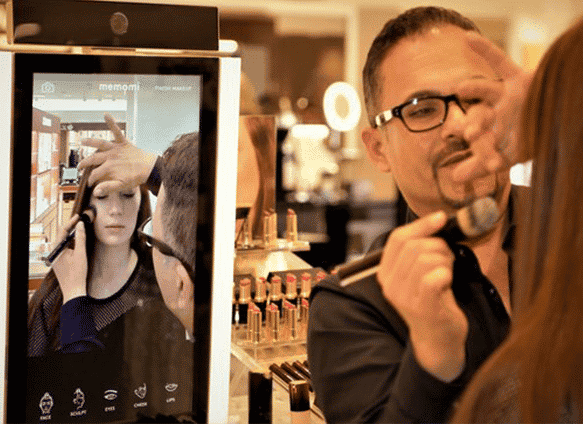 The retailer puts digital first with its innovation lab, most notably outfitting smart mirrors that show customers a 360-degree view of their item choices in store. The lab continues to refine its AI capabilities to enable customers to find items in the store that match a style or particular feature of a non-Neiman item they found online or brought into the store. 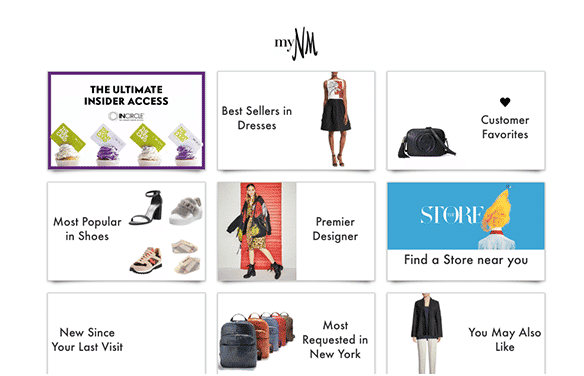 The “My NM” homepage feature allows shoppers to favorite products, sizes, designers and more. Neiman Marcus takes the portal a step further featuring category specific modules that feature best sellers in dresses, most popular in shoes, new products since last visiting, recommendations based on what you’ve shopped and they include a geolocator so you can find a store near you. The brand may have an opportunity to use this portal to their advantage by taking an entirely personalized approach. 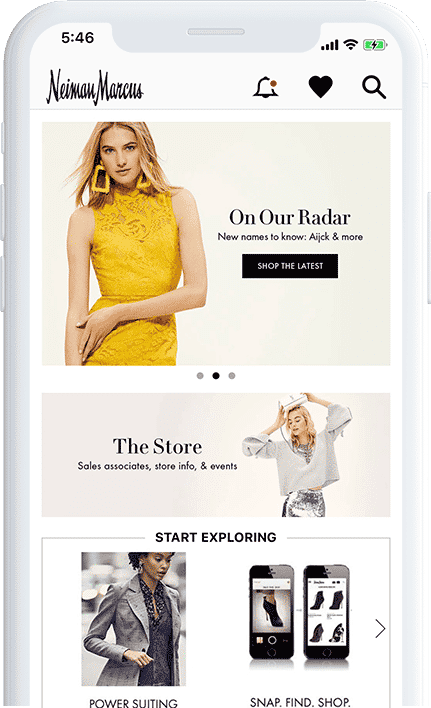 The Neiman Marcus mobile app is a one-stop shop for customers looking for featured products as well as in-store events. Shoppers can opt in for alerts on Neiman’s app for fashion scoops and emerging trends. The Innovation Lab is transforming traditional in-store shopping with its efforts to test and incorporate new technologies and applications like smart mirrors, touch table lookbooks that show you how to style a look, beacon-enabled holiday passes, intelligent mobile phone charging stations and digital directories. Feedback has been positive from the onset, so they’ve expanded to include the features in men’s apparel sections as well.